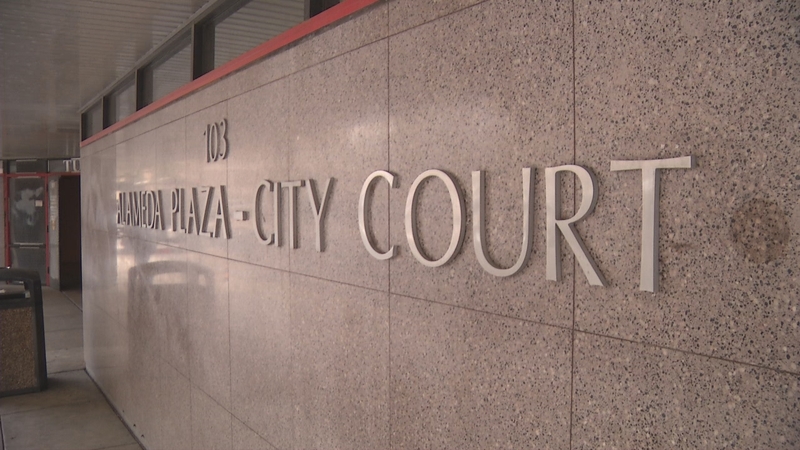 The Tucson City Court is the recipient of a nearly half-million-dollar grant. You know the law … but how’s your practice know-how? Last month, I heard from a lawyer and law professor. He had written an article for publication on the blog of the Washington State Bar Association, and he wondered if I was interested in publishing it too. I was intrigued—and not just because John Lande and I graduated from the same law school (in different years; we don’t know each other). I was interested because the material could be useful to practicing lawyers. So right off the bat, we see that John knows how to draw readers in. You can read his more complete bio here. Most important for today’s purposes, he contributes to the Indisputably blog of ADR law professors. 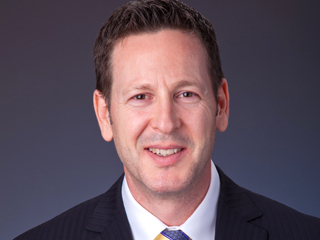 In his post, he examines with some detail multiple areas of law practice. An initial glance may suggest to you that you “already know this stuff.” In fact, most lawyers should have some facility with each of John’s topics (I’d hope!). But a more leisurely read reveals nuggets that would serve attorneys well. You can read John’s complete blog post here. 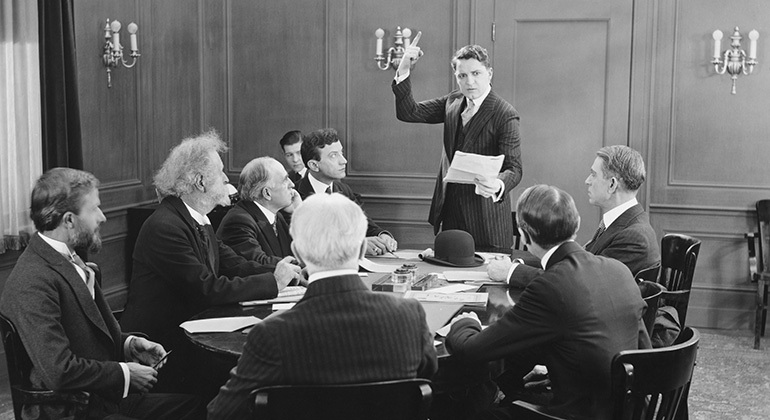 Nonprofit boards generally don’t look like this anymore (if they ever did). But if they did, can you spot the attorney? As far back as I can recall (and that recall gets shorter every day), lawyers have played a valuable role on the boards of nonprofits. They could lend a hand—hopefully not opining beyond their skill-level—while getting better known in the community. Win–win. It seems to me that as law practice has gotten tougher and more challenge-filled, those attorneys who seek out board positions has decreased. If I’m right, that would be unfortunate, as nonprofit organizations do more and more of the heavy lifting in our society, and they need more and more specialized services. Lawyers can still be of service. So true, so why not attend the event tomorrow? Hosted by Polsinelli Law Firm, the event occurs Thursday, October 29, from 4:00 p.m. to 6:00 p.m.
And when event organizers say “speed,” they mean it. Attendees will spend three to five minutes learning about each of the nonprofit’s programs and services. Who knows? You may feel a deep connection that you’ll want to act upon. For additional information, email attorney Nicole Ong at nicole.ong@dlapiper.com. 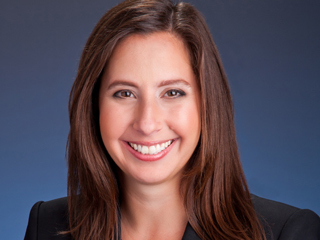 A new Arizona Justice will be appointed by Gov. Doug Ducey. Comments on applicants are due by Nov. 18, 2015. The agenda and applications for the office can be viewed online at the Commission’s website. The Commission will meet at 8:00 a.m. on November 20, 2015 to hear public comment and interview the candidates. 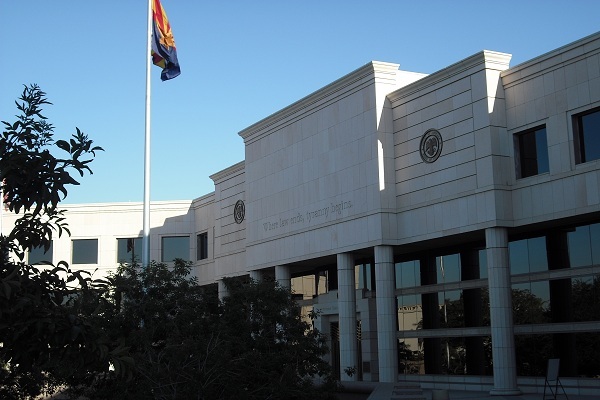 Written comments can be sent to 1501 W. Washington, Suite 221, Phoenix, AZ 85007 or by e-mail to jnc@courts.az.gov. Comments should be received no later than November 18 to be considered. Anonymous comments cannot be considered. After the interviews the Commission will recommend at least three nominees for the opening to Governor Doug Ducey, who will appoint the new justice. Who dislikes BYOD policies? Many folks, I suppose. But in my experience, lawyers and IT pros top the list. If you’ve ever been tempted to bring your own electronic device to work—rather than the hardware assigned to you—you’re part of the BYOD movement. But toting your clearly superior technology to the office—and accessing work-related files with it—may cause challenges for your firm or company. It will be held at the Apple store at the Biltmore (2502 E. Camelback) on Wednesday, October 28, from 8 a.m. to 9:30 a.m.
Attendees will learn how to establish a BYOD policy, security and device management and ideas to make the user experience great. Immediately following the presentation will be a networking event. 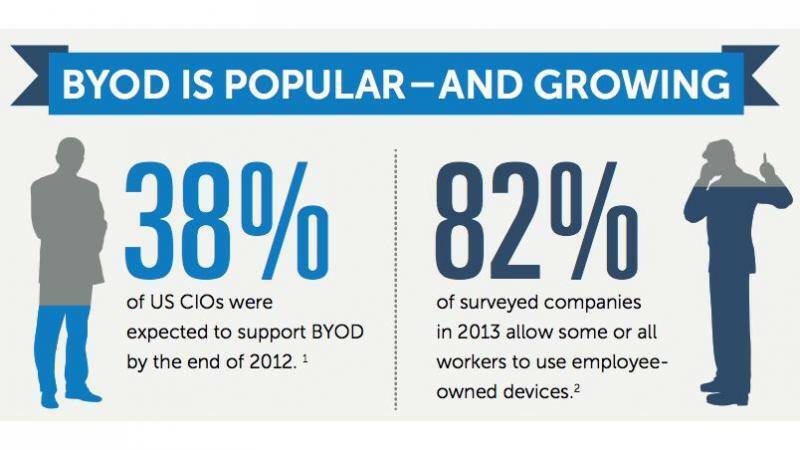 BYOD programs are thriving in companies due to the popularity of personal electronic devices and laptops, including iPhone, iPad and the iOS platform. Implementing a BYOD Program is known to reduce risks and keeps propriety information safe. To register, send an email to the Apple Biltmore Business Team at BiltmoreBusiness@apple.com. The Administrative Office of the Courts is pleased to announce the approval of Arizona’s application for funding through the John R. Justice Program. The goal of the JRJ Program is to recruit and retain qualified prosecutors and public defenders by lessening the burden of student loan obligations. The Bureau of Justice Assistance has authorized a funding allotment of $35,767 to Arizona for this program. The Administrative Office of the Courts (AOC) is supporting the effort in Arizona by acting as administrator for the JRJ Program. Last year, the AOC awarded JRJ grant funding to 25 public defenders and prosecutors statewide. Fortunately, this year, federal funding availability remained relatively the same as last year; as such, the AOC will strive to award the JRJ grant to similar numbers of public sector attorneys this year. Prosecutors and public defenders are encouraged to apply as soon as possible to be considered for awards under the JRJ Program. Applications must be postmarked by Friday, October 30, 2015. Information about eligibility, the application process and required materials can be found on the Arizona Judicial Branch website. 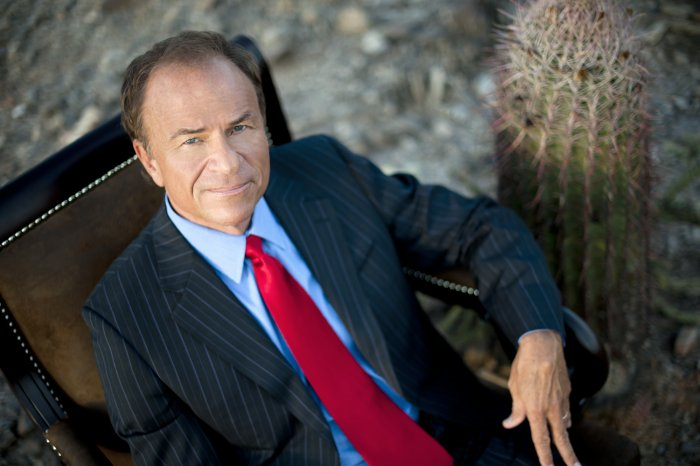 Former Arizona Attorney General will be the keynote speaker at the Jan. 14, 2016, banquet honoring the winners of the Arizona Corporate Counsel Awards. You thought you missed it, didn’t you? The deadline for a terrific annual award that recognizes the vital role in-house counsel play in the success of a business. No need to worry. The deadline for this year’s Arizona Corporate Counsel awards is Monday, October 26. Given your likely wide circle of colleagues to nominate and the blazingly simple nomination form, you won’t even have to break a sweat to offer up a colleague’s name. The awards were founded by AZ Business Magazine and the Association of Corporate Counsel state chapter. More detail is here. And the nomination form is here. The Awards Dinner will be held on January 14, 2016 at the Camby Hotel in Phoenix. 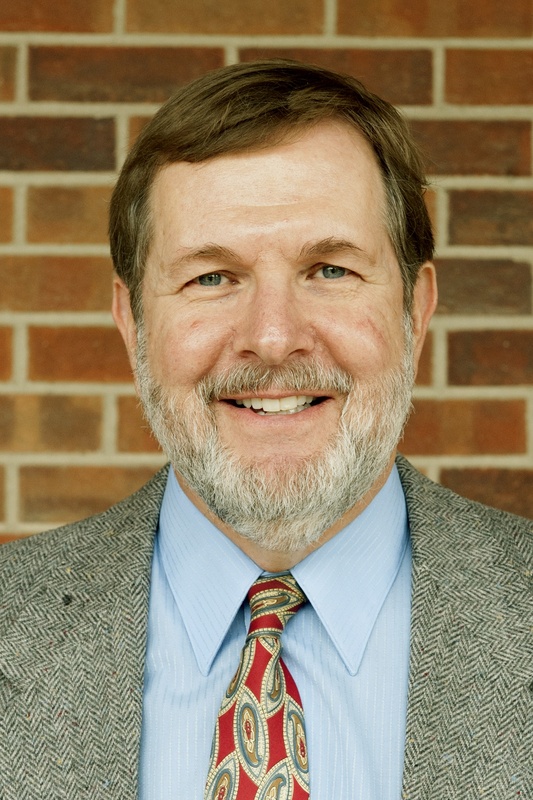 Grant Woods will once again be the keynote speaker, so prepare to be entertained. As in the past, the State Bar of Arizona is a presenting partner for the program.